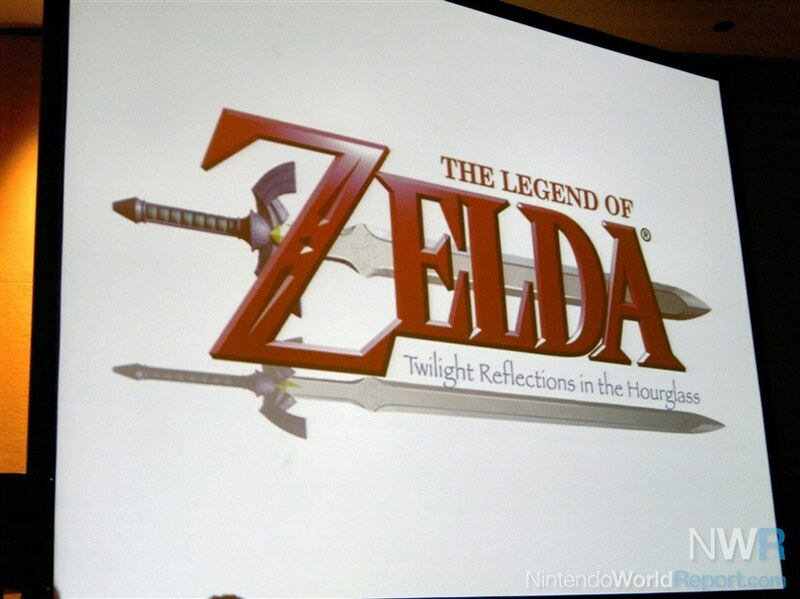 Full text of "The Legend of Zelda: Twilight Reflections in the Hourglass" talk, including video. Eiji Aonuma, director of the recent Zelda games, gave a talk at GDC 2007 entitled “The Legend of Zelda: Twilight Reflections in the Hourglass." As the title suggests, Aonuma describes the development process behind both Twilight Princess and Phantom Hourglass as well as other recent Zelda games. He also reflects on the changing markets and design of innovative ideas and intuitive control schemes and how they even touched his own family. The presentation was given in Japanese with live English and Korean translations made available through headsets. NOA translator Bill Trinen introduced Aonuma and mentioned that he was the dungeon designer for Ocarina of Time and designed the Water Temple, which elicited cheers. He was promoted to director for Majora’s Mask in 2000 and is now manager/producer of Nintendo EAD Software Development Group No. 3. While the translator did an amazing job with the translation, please note that since the translation was provided live during the talk, it may contain slight errors. The full text of the hour talk is found below. The game industry has undergone a dramatic shift over the past few years. This transformation has significantly affected the Zelda franchise. It started in 2002, just as I completed work on The Wind Waker, and I’d like to speak to you about how this shift affected the work that we were doing. We completed work on the Japanese version of Wind Waker at the end of 2002, and at E3 2003, we announced that the North American version, which was released at the beginning of the same year, had sold up to a million copies. But the truth of the matter was that the game did not fare as well in Japan. I won’t go into exact numbers, but it was enough to show us the difference in the degree of enthusiasm between the Japanese and North American markets. It had become clear that the Japanese market was moving away from games, in what we have come to call “gamer drift." The upper management at Nintendo knew that it had to come up with a solution to this phenomenon. This gave birth to the Nintendo DS, introduced in 2004 and was intimately tied to Nintendo’s Touch Generations initiative, which specifically targets those who have never played games before. I am sure you are all familiar with it. At this time, I had still not experienced this first-hand. For this reason, I was still convinced the reason the Wind Waker did not perform well was because of its toon-shaded graphics style. It was something that you either loved or hated, and there was nothing that we could have done about it. I was thinking about what was happening to the market and what it could potentially mean. We hadn’t been able to add and truly new ideas to the core Zelda gameplay since the series made the jump to 3-D. This resulted in some seasoned gamers growing tired of the formula. In contrast, those who had never played a Zelda game were intimidated because they felt these games were too complicated. These, Miyamoto felt, were the real reasons that the game did not sell well, so we started on a project that utilized Wind Waker assets and was based on the theme of creating a new style of gameplay. We called this project Wind Waker 2, and it was eventually reborn as Twilight Princess, but I will explain that in more detail later.